Ellen and I were assembling ingredients for our Super Bowl treat—a six-layer dip. “Did you bring it in yet?” Ellen asked. It was time for our Super Bowl Sacrifice. 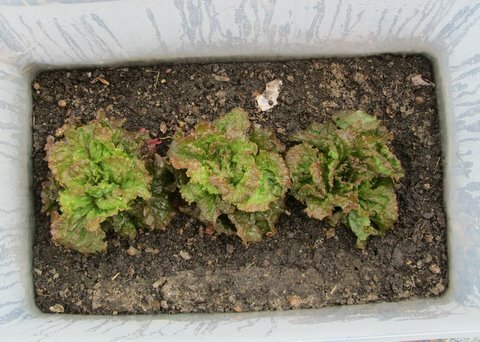 It was time for me to cut one of the three Red Sails lettuce plants that have been growing in my cheap mini-greenhouse during the winter months. Well, when it’s time, it’s time. I took my garden scissors off their hook in the garage by the kitchen door, and Ellen and I walked to the mini-greenhouse. I wanted her to witness the sacrifice. I unsnapped the fasteners and took off the lid. The three Red Sails lettuces were beautiful. I took my scissors, raised the lower leaves of the left Red Sails lettuce a bit, slid in the scissors, and … our Super Bowl Sacrifice was complete. The head of lettuce was beautiful—despite the two small slugs that had managed to burrow their way into the bottomless mini-greenhouse in their quest for a lettuce meal. Soon our six-layer dip was complete, and we nibbled away as the Giants took an early lead in Super Bowl XLVI, and then the Patriots went ahead one point. Good game, so far. 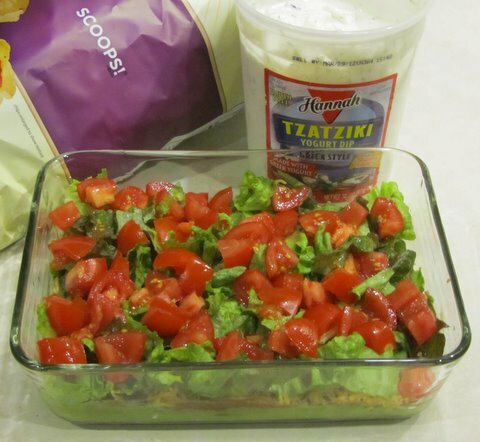 Good six-layer dip. 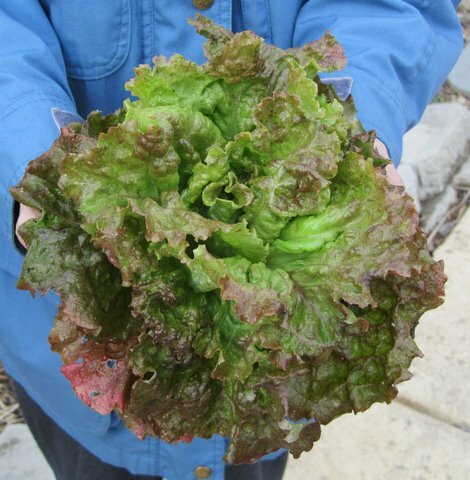 Good Red Sails lettuce fresh from meager winter garden. This is my round-about way of saying the mini-greenhouse is working well in this warm winter. One Red Sails lettuce sacrificed. Two Red Sails lettuces growing beautifully still. If you missed my earlier postings about my mini-greenhouse experiment, CLICK HERE. P.S. Final score: New England Patriots 17, New York Giants 21, Red Sails Lettuce 24. Great looking lettuce Bob. I'm about a week away from hardening off some early lettuce transplants and putting them in my cold frame. As warm as this weather being, I'm thinking I may be able to really push the spring season into winter. I'll let you know how its going. Actually, Kent, my mini-greenhouse operates like a cold frame. When I cut my last two heads of Red Sails lettuce, I'll have to flip a coin to determine whether I grow more in the mini-greenhouse or whether to transplant into the open garden.